Food insecurity is a global tragedy. More than 10% of humanity, almost 800 million people, are undernourished. Undernourishment particularly afflicts people in low-income countries, but even high-income countries, food insecurity is a major social issue. In the US, 48.1 million Americans lived in food-insecure households, including more than 15 million children. The assumed solution is to produce ever more food. Global thought leaders such as the UN, FAO and the World Economic Forum argue (or just assume) that humanity “needs” 50% to 100% more food by 2050. This is the wrong approach. It sounds like a manifesto for big food corporations who stand to profit from increased food sales. Increased demand benefits these companies. These benefits to Big Food — companies such as Nestle, General Mills, and Unilever — come at the expense of good public health. Companies like Coca-Cola sell drugs to children in branded goods laced with more sugar than is good for them to consume in a whole day. Most people interpret the call for greater food production as a response to the urgent need to prevent hunger. However, most of the forecast increase in demand is to cater for an increase in demand for meat- and dairy-rich diets. Instead of assuming that we have to produce more to meet this demand, what if instead we focused on whittling some of the surplus consumption from countries that already consume and waste way more than is necessary? The problem is not how much food we will be able to produce, but rather that we are on course to continue misusing and wasting our food and food-producing resources, exacting irreparable harm to our planet’s life support systems. This is the one way we really do risk not being able to feed the world. Food availability in rich countries is 150–200% above what is nutritionally necessary, as I discuss in my TED talk and book. The extra food is either wasted or is contributing to the global public health crisis we all know about — obesity, type-II diabetes and the host of ailments associated with overconsumption. If you include indirect calories — those fed to livestock that could have gone to people — rich countries have access to between 300% to 400% of the calories their populations need. We have bigger surpluses in rich countries than ever before. 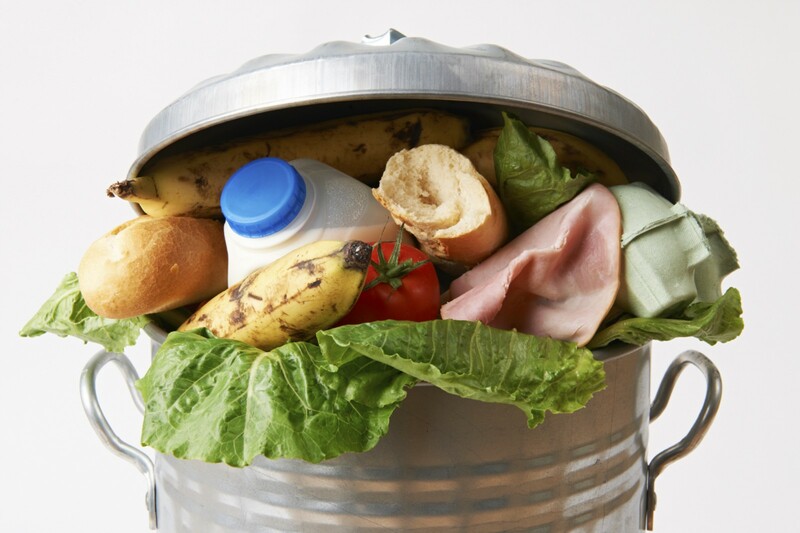 Over a third of global food supply is wasted along the food supply chain. In rich countries, that percentage is even higher. I founded environmental campaigning organization Feedback to highlight this food waste scandal. Often the assumption is that food waste is something that happens in consumers’ cupboards and refrigerators. The reality is that every stage of the food supply chain leaks. Our flagship campaign, Feeding the 5000, tangibly demonstrates this fact. The campaign involves feeding 5000 people (often more) with delicious food that would otherwise have been wasted. The conceit behind the campaign is that feeding 5000 people on surplus food sounds amazing. Often, however, the hardest part is getting permits to use eye-catching public spaces like Trafalgar Square in London and Place de la Rue Publique in Paris. Sourcing surplus food is usually the easy part. We get food from farms whose produce has been deemed insufficiently cosmetically perfect by supermarkets, food manufacturers with pieces of produce that are delicious but aren’t necessary for their products, and supermarkets and restaurant that have food nearing its best-before date that is still perfectly healthy. The scale of the waste never ceases to amaze me. An example: We usually need about 1 ton of food to comfortably feed 5000 people; a food manufacturer in New York to whom we’ve been talking, in preparation for a Feeding the 5000 NYC, has about 25–30 tons of edible, wonderful offcuts every day that they’re still trying to figure out — with some neat solutions on the table — how to keep in the food stream. Most recently, Feedback’s research in Kenya found nearly 50% of produce being rejected by European retailers before export, much of that produce having no problem in quality or taste. And, as I noted, if you look closely at increased demand for food, it is mostly driven by increasing preference for meat (whose production globally uses around 40% of arable harvests — grains like maize and wheat and protein-rich plants like soy). While it’s true that we would need multiple Planet Earths to support a meat-heavy Western diet for everyone, it’s also true that we can support all seven billion of us with the food we have, by eating less meat and wasting less food in general. As we produce this food that we don’t eat, we burn bridges to future wellbeing. The world’s growing preference for meat and dairy is pushing demand for grains and soy that leads to deforestation in tropical forests across South America and Asia. As these trees are removed, the carbon that they have stored for millennia is released back into the atmosphere. Deforestation’s heavy carbon footprint contributes to agriculture’s responsibility for 30–35% of global greenhouse gas emissions. Twelve to 20 percent of current CO2 emissions are from deforestation, and up to one third of historical CO2 emissions are from deforestation and land use change. And, of course, deforestation is behind the immediately catastrophic levels of biodiversity loss. Already, in my lifetime, populations of mammals, birds, reptiles, amphibians, and fish around the globe have dropped 52%, according to WWF’s Living Planet Report 2014. If that paragraph got too bogged down in details, let me simplify: food production is linked to deforestation that puts into question the continued existence not only of the Amazonian Giant River Otter, but of humanity itself. The “not enough food” anxiety has a long history. Thomas Malthus published “An Essay on the Principle of Population” in 1798, which many interpreted as positing that population growth would outstrip growth in food production, causing starvation and a population crash. Environmental scientists took up the cry again during the 1960s and ’70s warning that growing population and limited food supply would combine to create mass starvation crises. As it turned out, the predicted global famines did not materialize. This miracle was partly because scientists were able to breed high-yielding crops that increased grains output in Asia and the Americas. These booms are over, and now food production increases are principally being realized by increasing the amount of land under cultivation, hastening the very environmental threats that could undermine the planet’s ability to provide for future generations of people, let alone all the other species we share the planet with. Environmental scientists remain anxious about the fragility of humanity. However, quantity of food and immediate shortfalls loom smaller. The key concern is how we produce this food, and this production’s future impacts. Food and food production seem wholesome. There’s a “motherhood and apple pie” aspect to it, as Medium founder Ev Williams writes. When you hear “food,” you think of home-cooked food. Favourite restaurants. Farms you’ve visited, or even farms you’ve seen in movies, beautiful cornfields turned into magical baseball fields. And of course, food is beautiful. It is delicious. And we can’t live without it. But food production, in its current maximalist form, has its “side effects,” in Ev’s words. “Side effects” is too soft a phrase. Food production is the single biggest impact humans have had on the environment. Alongside the carbon dioxide emissions, food production also produces nitrogen blooms in oceans from fertiliser runoff; methane (a highly potent greenhouse gas) released from livestock farming; and, of course, heavy amounts of water, fuel, and other energy inputs required for farming. For all these reasons, we must challenge the chorus chanting for ever-greater food production. We waste staggering amounts of resources producing food that we don’t end up eating. The key to the food security equation is changing food demand and distribution patterns, not spurring ever more food supply at all costs. Indeed, allowing deforestation to advance unchecked is the one way that we can be sure to end up with a planet so unhealthy that it can no longer meet the real needs of its human population.